As usual, I am not offering political views as such on the EU issue, but pondering the process and rules. It seems Scotland and Northern Ireland may both be interested in staying in the EU. It seems some in the EU are not keen. It seems that either of them breaking off from the UK would then be stuck applying like any other country to join the EU. However, things are not as simple as when considering a legal entity in a contract. I mean, what is the UK as a party to these international treaties exactly? How is a country defined? After all, they change all the time in subtle ways. If, say, the Isle of Wight decided to leave the UK, the rest of the UK would still be the UK and still be in the EU (for now). That seems obvious. So what if Wales left? After all, Wales was one of the countries that came together to make the UK a new entity. Would the UK vanish and cease to exist if Wales left? Or would the" residual" UK still be valid and be the UK, and still be the "entity" that is (currently) in the EU? How far could it go? 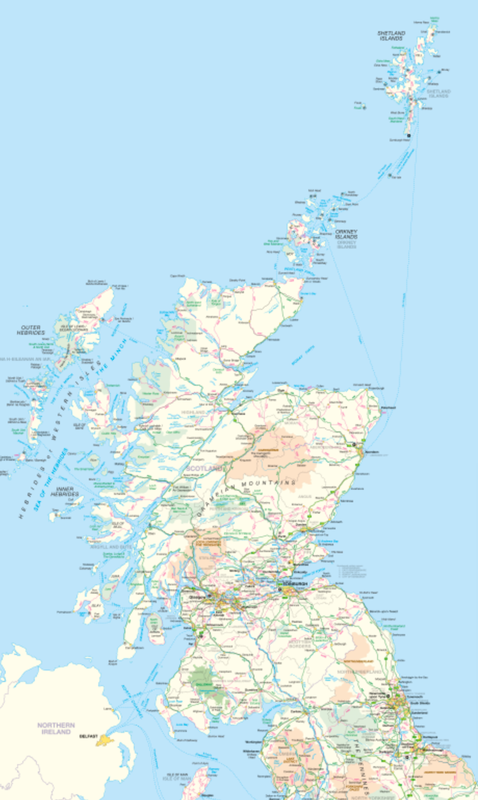 I mean, could Scotland and Northern Ireland join forces, and say they are "the United Kingdom" and that England and Wales are "leaving" the UK, but the residual UK that is Scotland and NI are still the UK and so still members of the EU with no need to renegotiate anything or make new treaties? What if NI merged in to Ireland? Would that be OK? Would Ireland remain the same entity as a party to treaties and the EU, just bigger, and hence be, as a whole, an EU member still with NI? What if Scotland decided to join Ireland? Would that be too much and mean Ireland is no longer the same thing? What if a country in the EU now changed its name, e.g. Ireland become the "Celtic Union", and then let Scotland join them as a new combined country and part of the EU member formally known as "Ireland"? Really, how does it work, and who actually decides? All of the above scenarios are, in theory, no concern of the EU, as they are internal to the various countries (unless EU treaties already contain rules on merging with new countries or splitting). If I was the SNP I would be asking these questions in all seriousness though. After all, if Scotland was allowed to “join” Ireland as an EU member, they could operate a “devolved government” system which basically means they are only there for the green card, I mean EU membership, and not really in bed with each other. Whatever craziness happens, please _do_ continue to supply excellent services to your faithful customers in Scotland. That I cannot say, we will have to wait and see. Selling to a different country and currency make be a bit of a pain. I recall what you said about this before and I'd be very sad to part ways. I can understand it though and the IP Bill would make things especially interesting. I wonder how the bigger ISPs would handle it. Indeed, it would be a last resort really, but working in one currency and country is massively simpler than in two. Last time it was concern over courts and legal process in Scotland even now. But imagine the hassle with working inside and outside the EU even! imagine the chaos if all Scottish internet users lost their England-based big ISPs. Let's pray that the Nicola Sturgeon madness never comes to anything. Would you ever consider setting up a small subsidiary, AA Scotland, in the event of this disaster actually happening? So users in Scotland could continue to enjoy the unique level of service that they've become accustomed to and rely on from AA? Possibly, especially if we end up moving to Scotland! I think many Scots are pondering the same thing, though perhaps not in so much detail. I'm not a native but I've certainly thought about it. One thing's for certain though, with the prospect of Teresa May becoming prime minister, I seriously want out, despite having voted No last time. The prospect of moving to Scotland is appealing if it means no Theresa May, indeed. It's an interesting question. The only example I can think of in recent memory is Czechoslovakia dividing into Czech Republic / Slovakia in 1992. Both are now EU members, but that didn't happen until 2004, long after the split. I think that in the case of Irish re-unification, the EU would happily accept it. Scotland leaving the UK is a very different matter. We know that them leaving would only happen once the EU exit process is started, so I think that their ideal situation is to leave the UK the instant that Article 50 is invoked, with the EU accepting both Scotland and the remainder of the UK as successor states, with Scotland not in the process of exiting. I do wonder, though, whether they'll get their referendum before the exit process is started. East Germany joined the FRG in 1990 and it seemed to be no issue back then. The enlarged FRG continued its EU membership. The death of the land line? Should I thank Theresa May?